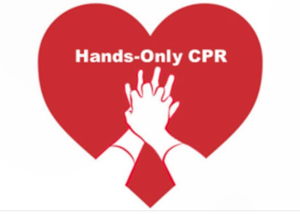 Our Lady of Fatima (OLF) and Wilton Volunteer Ambulance Corps (WVAC) to Hold Free Hands-Only CPR/AED Training for Kids, Grades 5th - 12th. Each year the entire Fatima community gathers with great excitement for the Annual Alumni Game. Alumni students along with their families come together to play one of the most anticipated events of the year. The Fairfield Prep XC award is given to the runner who best demonstrates the true spirit of brotherhood, sportsmanship, and dedication. It all started at Fatima! 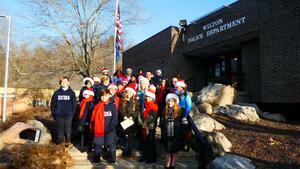 It was our privilege to serve our neighbors, The Wilton Fire Dept (Toys for Tots), and sing Holiday Carols for the Wilton Police Dept, Wilton Bus Co., and Brookdale Senior Living. 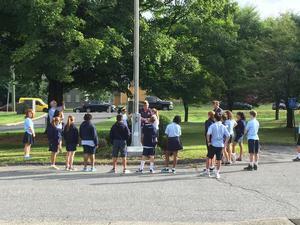 Each year the 8th Grade students take on and embrace the responsibility and honor of raising and lowering the American flag each day. 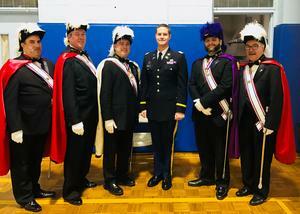 A formal lesson in flag etiquette was given to our students. 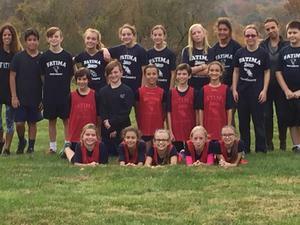 Successful Cross Country Season Comes to a Close. Our Cross-Country team took home a leading 11 placing Ribbons this season! We had a school assembly honoring all veterans this morning to celebrate Veterans Day. Fatima Girls JV Team Wins! 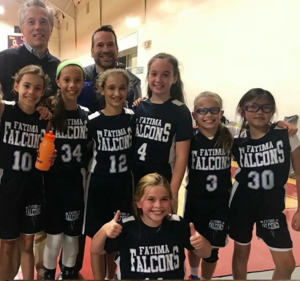 Basketball season has just started, and we are off to a great start. CT KID GOVERNOR RACE: The Primary! 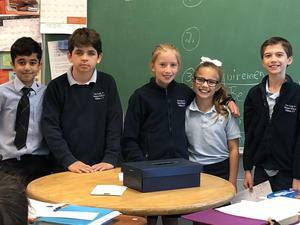 Fatima's 5th grade students have been learning about Connecticut's three branches of government and what it takes to be a political candidate. Five students jumped into the 2018 race to become the next Kid Governor.